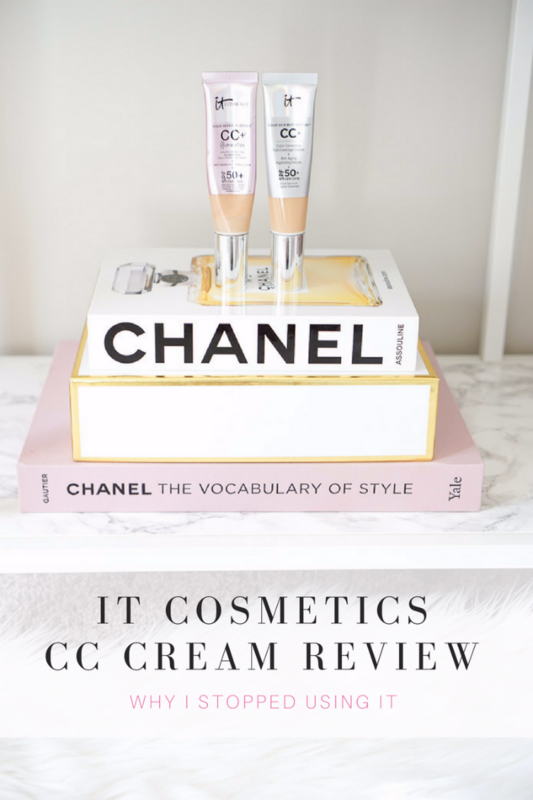 Today I’m sharing a review on the It Cosmetics CC cream. 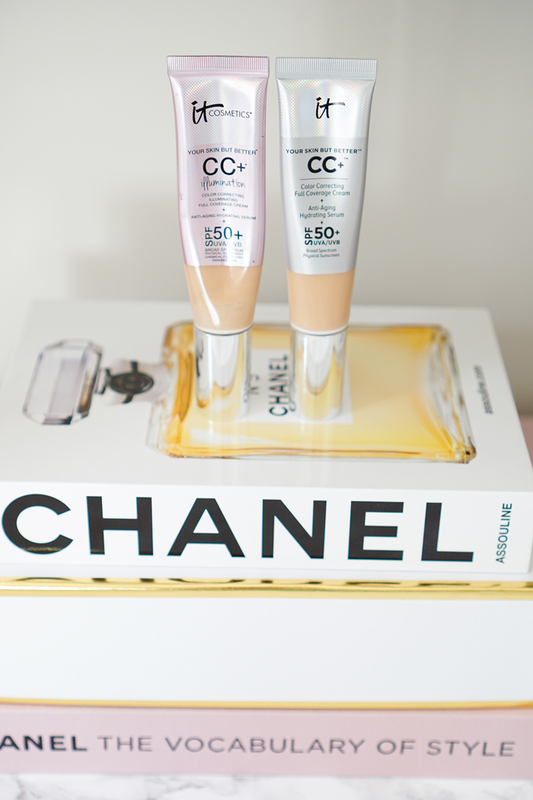 It’s a medium+ coverage all in one foundation that I’ve repurchased multiple times. 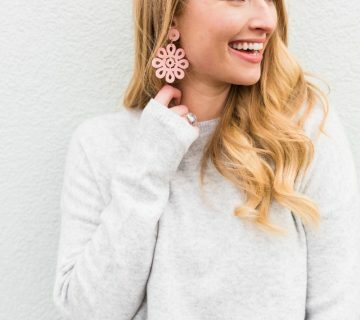 I first fell in love with the product while on vacation in the summer of 2014 (sounds so romantic), and my mom also became a fan after I had her try it on the same trip. She still uses it today! I, however, have moved on to try other things. Keep reading to see why. Sounds like a sweet deal. Let’s see about all that. I’m not going to list them all out because who even know’s what all of that is?! Not this girl. but you can read them all here if that’s your thing. There’s definitely A LOT going on in the list, but I guess that’s why they claim it does so many things. I’ve used this product for a few years now, and I’ve turned my mom and her sisters to it since as well. Not to speak about their age or anything, but I think that shows it’s a product that can work with various age groups and not settle into lines. I have never noticed emphasized pores when using this product. I actually didn’t even know I had large pores until I started using a new product, but more on that in a different post! I can’t really tell if it’s done anything for brown spots / anti aging because I’ve always had freckles that come in the summer and lighten through the winter months, though I can assume the SPF in the product helps to limit exposure and creating new spots. I do question if I get the full benefit of SPF because I don’t use a full pump, so if I plan to be in the sun for some time I do apply a sunscreen underneath to be safe. So I don’t use a full pump? No, because I can get a comfortable amount of coverage for just half the pump amount, which is a bonus because the product lasts me twice as long. I find that a full pump emphasizes the cons I discuss next. The limited color range is biggest negative for me, and it seems like I’m not the only one when I looked up some reviews. 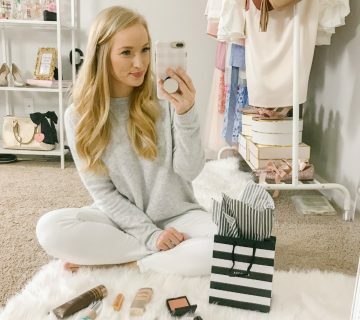 Most people will need two colors to mix into their perfect shade, and its way too pricey for that when you can find another suitable color for you somewhere else. This is the main reason I’ve stopped using it now. The fair is too gray/ light for me but the light it way too deep + orangey on my pale winter skin tone. When comparing the “light” shade to other light shades, this one is definitely always deeper. It works for me when I self-tan, so I’ll probably return to using it in the summertime. This product doesn’t really set – it somewhat sits on top of the skin versus soaking in and drying up a bit. If you wore this with a white shirt there could definitely be transfer. I also noticed at times when I touched my face the color would be on my nails. Because it’s more hydrating it does eventually fade on me throughout the day and depending on your skin type it may shine up on you. I have normal to dry skin, so it’s usually not too shiny, but I do like to set it with a powder to keep the coverage there a bit longer. 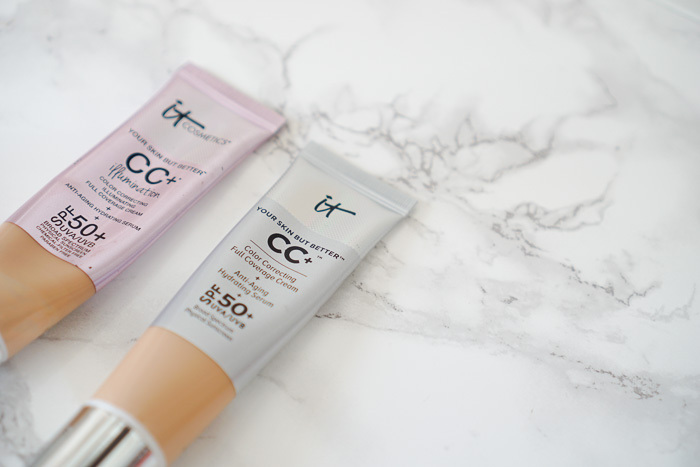 I’ll still use the It Cosmetics CC Cream when I self-tan because you can’t beat the coverage and easy application. I love that it has SPF 50, though I do question it’s full benefits if you don’t use a full pump. However, some is better than none with SPF. I can’t speak for oily skinned girls, but I don’t mind the hydrating finish with my drier skin. I would recommend the original formula over the illumination formula (pink bottle) because I’m not a fan of the subtle sparkle throughout the illumination product. 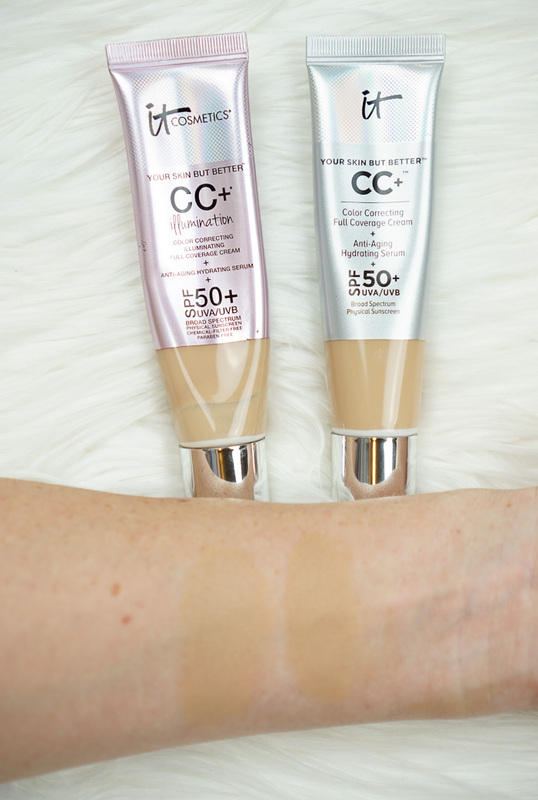 I really hope they expand their color range of the CC cream because that is the main reason I don’t use it today. 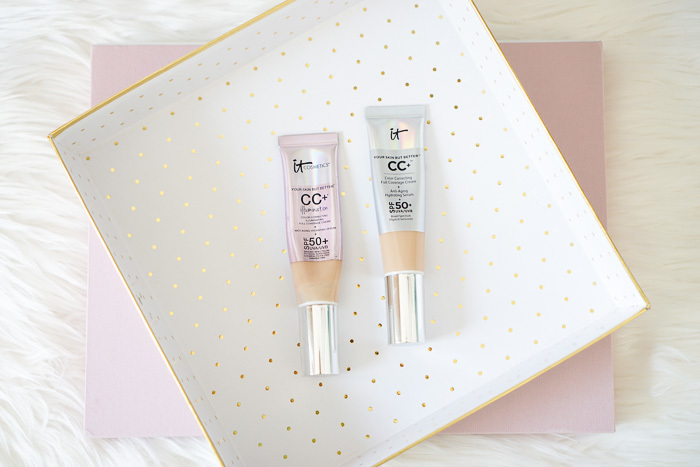 Have you tried the CC cream or other products from It Cosmetics? I’ve been hearing great things about their bye bye undereye so I may give that a try next. UPDATE: Tried the concealer and holy crap it’s amazing. I think the bottle will last until I retire, you need the tiniest amount! It’s really thick but doesn’t move throughout the day. And the light…. is actually light and brightening! Wow! This was SUCH a thorough review. Great notes about the color options (which is always difficult for me) and how it sets. I Love your imagery too. great post! So interesting!! I personally love it, but agree that they need to expand their color range! I just need to quit being lazy and get my summer self tanning regimen going again 😉 It's a good product! This is MAJOR. Thank you so much for being so honest, love. I needed to read this review!!!! I've been wanting to try these!!! Love this post! I have dry skin and I really want to try this now! Great review!! I loved this product but I had to buy medium and tan and mix them together. I'm not spending $80 on foundation when I can use a different brand. Great stuff but def need more colors! I really love this review. I actually just got this a month ago and I'm obsessed with it. I want to try the illumination one next! I'm actually really curious about this products. The truth is that I've never tried anything from it cosmetics, but I'm dying to! what would you suggest me to get? I would love to hear your thoughts!